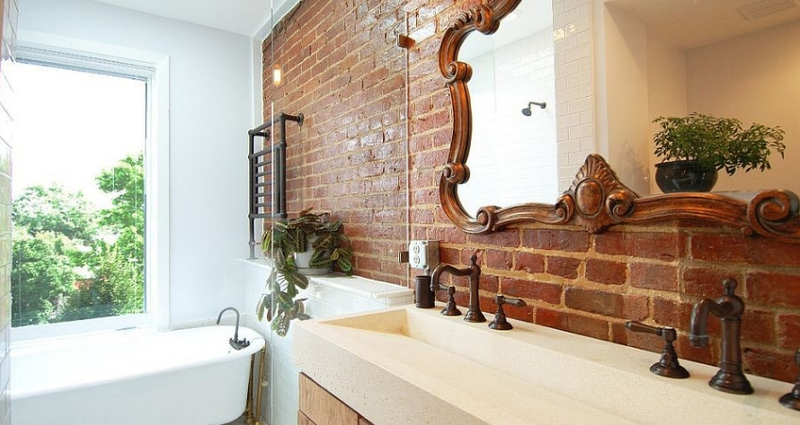 Having an interior brick wall is indeed a timeless beauty addition to your home. It is an incredible, valuable treasure and a centrepiece that enhances the overall beauty of a home. 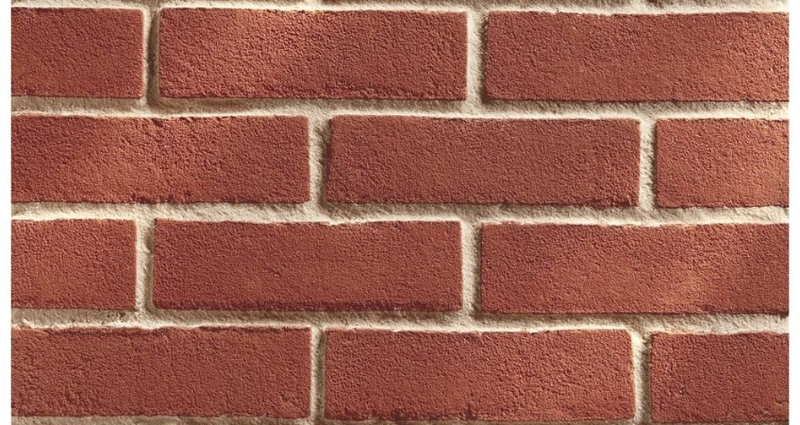 Brick has a way of drawing a lot of attention based on the bold features that make it exceptionally beautiful. Bricks also come with a unique romantic allure thanks to its brown or red colour that has stood the test of time. While you may not be living in a brick house, this doesn’t mean you cannot explore the beauty of a brick wall. You can always settle for a unique and stylish brick partition to enhance the look in your home. This has been made easier thanks to advancements in building technologies. To make the most of a brick finish, you only need to have the best design know-how. This will enable you to add a perfect and unique touch to any room in your house. What makes bricks unique is that they have organic pieces and characters that are not found in any other wall finish products. Similarly, brick finish appeal to the traditional and modern spaces in a home. 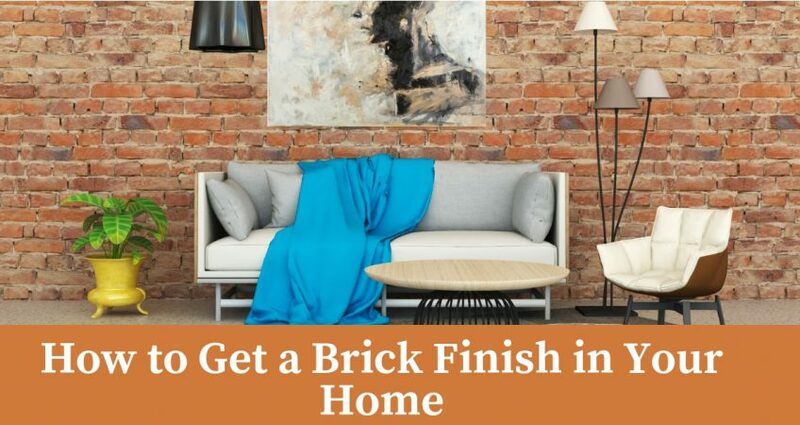 This piece offers useful details on how to get a brick finish in your home. One of the best ways to get a brick finish is by using the real material. The exposed brick cladding is the real deal, and it involves erecting a wall or a partition using bricks. Today’s advancement in technology has made it easy for you to use bricks when building your home. Therefore, based on the size of the brick you wish to use, you need to determine the number of bricks to be used. The rule of thumb when it comes to achieving a great brick finish is to use 60 bricks for a single-layered square per meter. 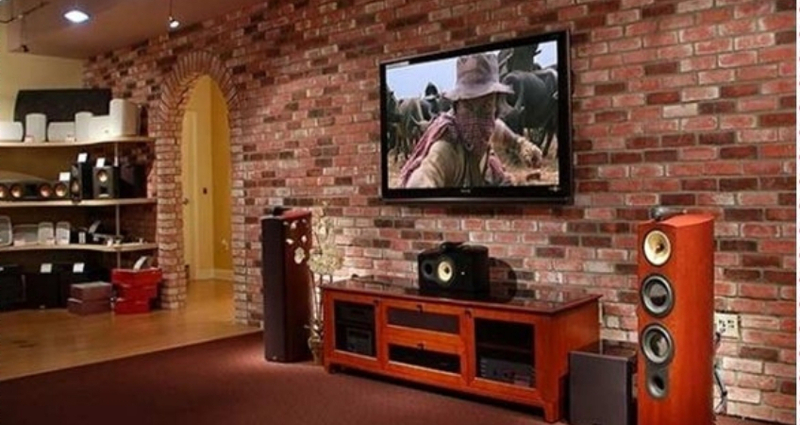 The most impressive part of using real brick in your partition is that you do not have to dig a foundation. Even so, you will need to remove part of your floor finish. Most importantly, you ought to choose high-quality bricks for a great finish in your home. With the help of a professional, you can use a mixed mortar and place the bricks correctly corresponding to one another. If your brick wall is plastered and coated, you can also add a sense of brick finish by stripping it down to the sheer. It will create an awesome rusty look of an exposed brick. In this case, you will need to have enough working space. Remove the roughcast and paint and strip your wall. You can always strip as much as you want based on the brick finish or nature that you wish to achieve. To achieve a more exciting look, you can polish the wall. You may also use two coats of paint on the bricks to achieve a monochromatic look. It creates an incredible finish as long as you preserve the lines. This step plays a significant role in creating an exciting visual effect. If your wall lacks that gorgeous brick property, you can consider an indoor brick veneer. This is an excellent finish trick that produces a beautiful and exciting look in your home. Furthermore, you can explore a wide range of bonding patterns to use based on the overall look that you want to complete in your home. Keep in mind that whether you have a traditional house or a modern piece, you can always clad it in a brick tile. You can enhance an old model to a new one using splendid cultured brick. It has a way of bringing out an authentic rich look. Brick veneers are also beautiful because they offer the look of whole bricks. This works well with a kitchen brick wall for that rustic look as it accentuates the wall. Brick wallpaper is another funky way to get a beautiful brick finish in your home. Today, you will find a wide array of brick wallpapers in the market. Whether you want a wall that has a touch of rustic charm, a warehouse cool, a warm inviting texture or just a simple paper mural, you will find endless wallpaper options. For quality results, brick wallpaper can be applied using a paste that makes it excellent even for renters. Wallpaper is an exciting option that reflects the resourceful area in your home. It is also a modern finish option that is quite stylish based on the fact that it can be used in almost every room. If you want a wall finish that makes a lasting statement, wallpaper is the way to go. What’s more, it offers the flexibility of easy installation. Whenever you want to change the look in any of the rooms, wallpaper is easy to remove. Most importantly, it is a quality brick finish option that can last over a long haul. 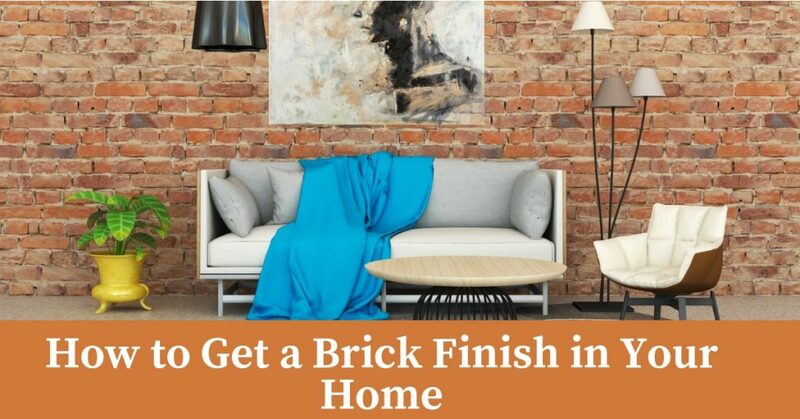 A brick drywall finish is equally a more detailed finish option for your home. It involves the use of faux bricks made of drywall mud or interior stucco. 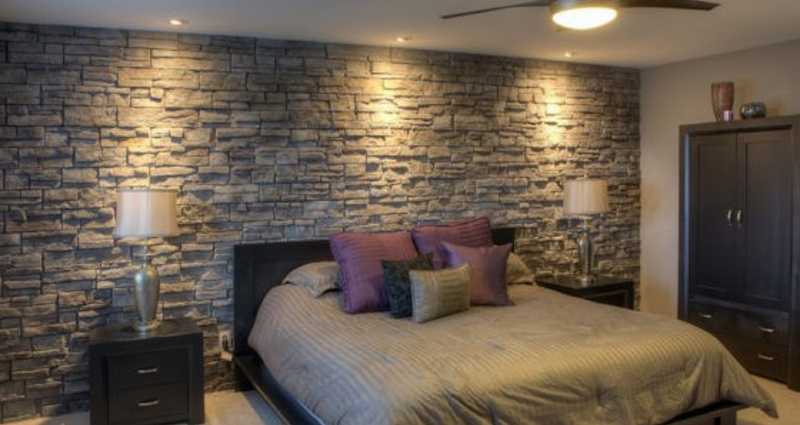 They offer amazing results and add a sense of elegance to an indoor brick wall. The beauty of a drywall is that it is easy to create and you can choose a style that matches your needs best. Remember an authentic finish brick effect in your wall is exceptionally beautiful. Therefore, go for a faux brick that can be easily layered on the fireplace column or even on an existing wall to provide a true texture of a brick finish. With a proper fix, the texture will complement the overall structural beauty of your home. 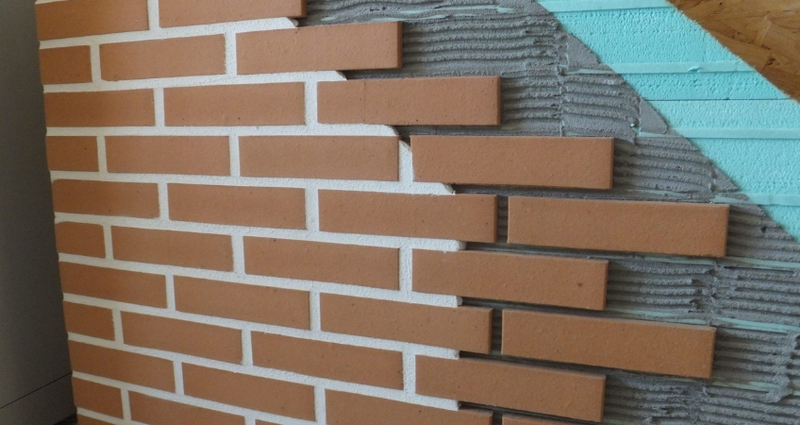 If you prefer an easier finish option with your bricks, you can use a brick stencil. It is a trick that involves creating a brick pattern using cutting edge stencils and paint. You can always cut the patterns to your most preferred sizes and the look you want in your home. Tumbled bricks that have come a long way and they offer a smooth texture and a warm feel in your home. Modern designs that add a luxurious touch to every room in your home. Coloured painted brick slips that can either complement or contract the theme of your house for that great finish. With such features to explore, you will realize that having a brick finish is not a hard task. This is something you can do on your own, especially on small projects such as the fireplace. You only need to choose the right type of brick finish, brick slip spacers, and cement based adhesive to fix the bricks. However, if you have something bigger in your mind such as a brick face interior wall, it is wise that you seek the services of an expert. A professional installer will assess your finish needs and provide the most ideal solution. What’s more, the installer will add a professional touch to your home. Is it costly to get a brick finish? In this light, you need to measure the area that you need to enhance with a brick finish. This will help you to buy the right materials from a brick supplier. Remember, if you do not purchase the exact brick slips, then it can be hard to achieve the desired results on your interior brick cladding. Similarly, you need to put into consideration the colour effect you want to achieve. It is wise to note that cladding is not a simple process as painting. With the best materials and the right colour blends, you will achieve amazing results. Therefore, you need to put in more effort into making the right decisions and choosing the best installer for your home. Shop for the most affordable brick slips and do not compromise on the quality of the slips. 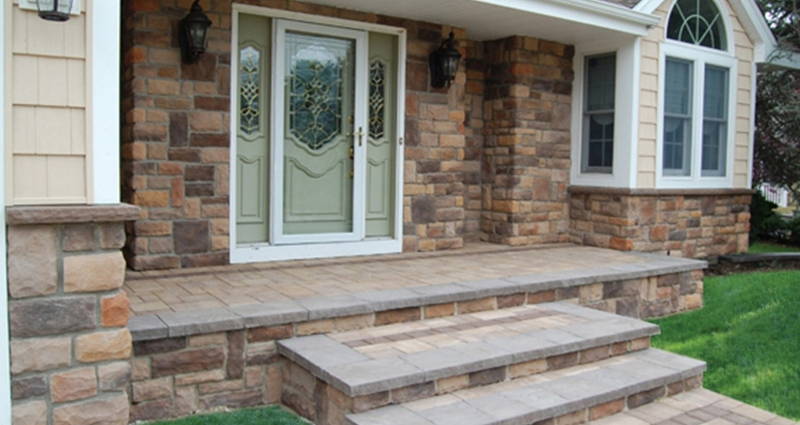 Quality bricks play a significant role in enhancing the value of your brick finish. For this reason, take time to get brick slips and colours that will certainly provide the look, the feel and a brick finish that brings out the wow sensation you want in your space. The brick finish makes a statement, it is laden with meaning. With modern technologies and expert approach, it adds a touch of beauty and luxury to your home. Its authenticity and decorative elements are hard to ignore. However, to make the most of this kind of finish, you need to consider the services of a professional. J&A Tiling experts understand the value of brick finish. 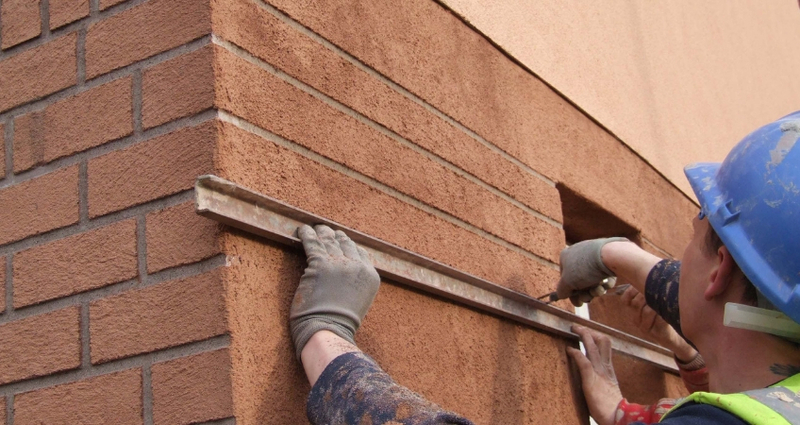 The experts will help bring out the exact kind of brick finish you covet in your home.